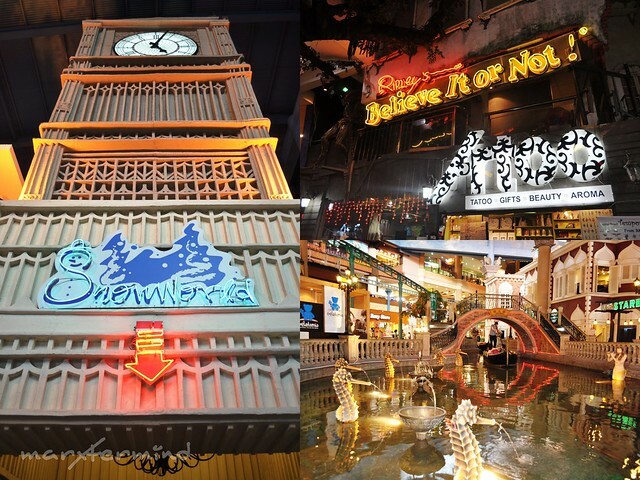 We purchased our Genting Theme Park tickets and transfers prior to our trip. 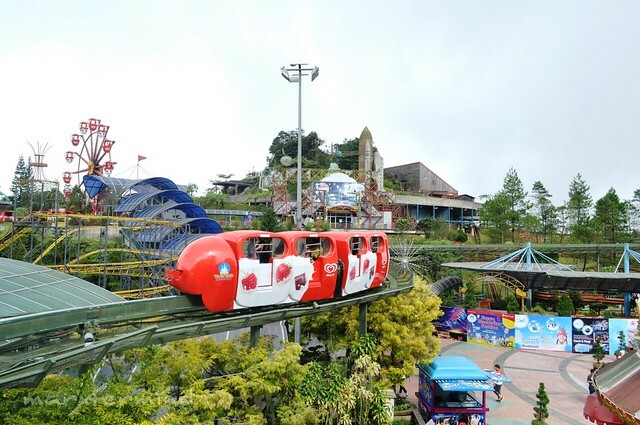 I made an online reservation for our theme park tickets (All Park One Day Unlimited Ride Pass) through their website for RM 56.00 each and had our bus transfers and sky-way purchased by our friend’s friend Neil (Gombak – Genting Highlands – KL Sentral) for RM 17.70 each. Since we’re coming from Batu Caves, it is more convenient if we get to Gombak Station going to Genting. 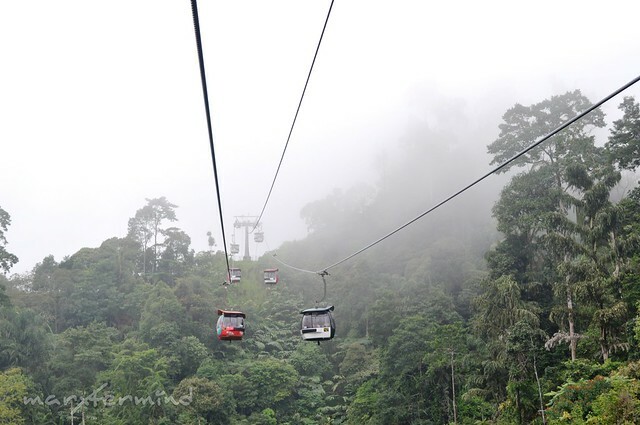 From Gombak Station is a 45 minutes bus ride to Genting Sky Way Terminal. 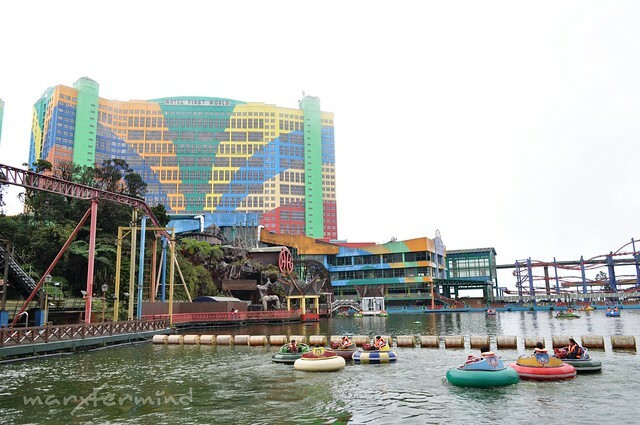 Genting Highlands, which is also known as Resorts World Genting is an integrated resort developed by Genting group. It is located at the mountain peak within the Titiwangsa mountain. 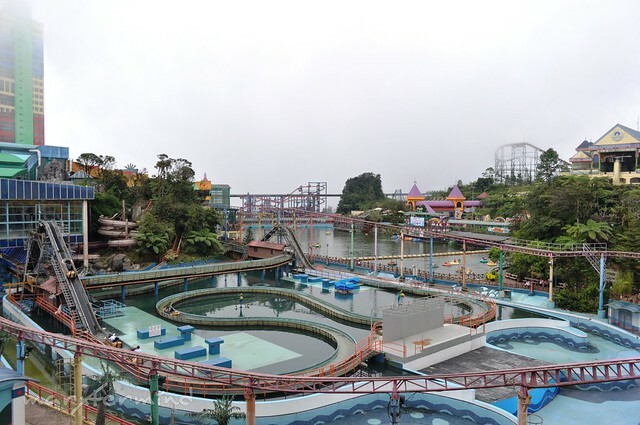 The resort is accessible by car from the city central in one hour, and also accessible by a cable car called Genting Skyway, which is used to be the world’s fastest and South East Asia’s longest gondola lift. I was excited as soon as we get to the Sky Way terminal. We’re not yet at the peak of the mountain but it was already cold out there. Good thing I have my jacket with me. 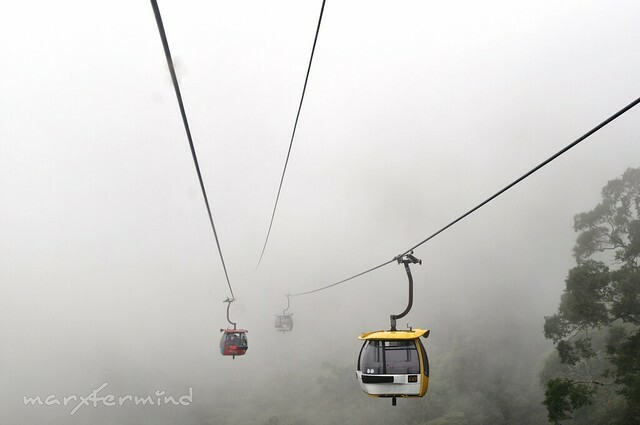 The gondola lift can fit up to 6 – 8 persons. What the…. fog, almost zero visibility! By the way, we were talking about the movie Frozen while we’re on the gondola lift since it was shown in HBO last night. The movie is about three friends stranded on a chair lift, and hoping it could not happen to us while we’re on the lift. It took us about 15 minutes to get to our destination. Finally, the Genting Highlands! 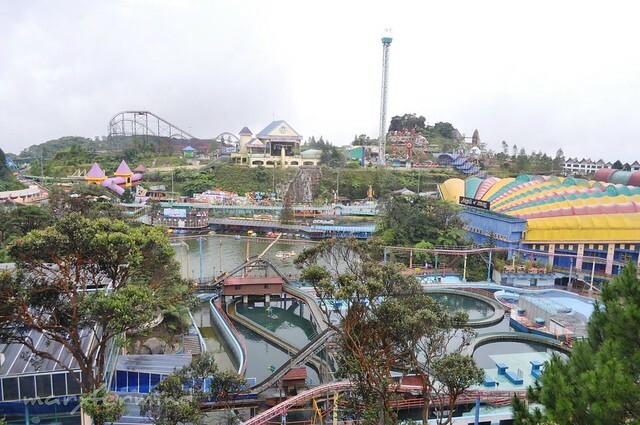 The theme park is located at the right side upon entering the resort. We walked for about 15 minutes to get to the theme park. Since we already had our ticket print outs, we just had to have our theme park pass wristbands. It was already past 12:00 PM, so we looked for a place to eat first. We had our lunch at the Food for the Seasons, which looks like food court. 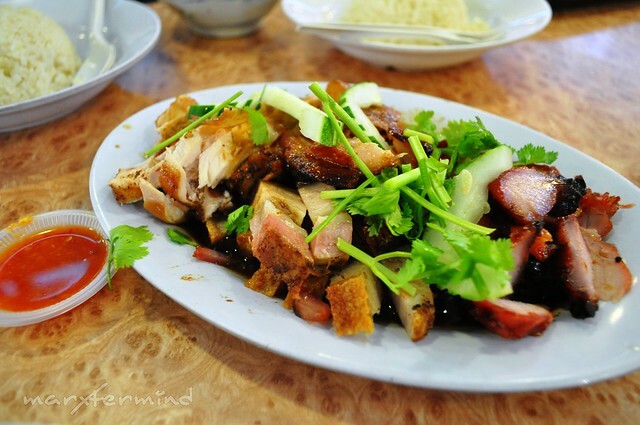 And here’s what we ate, combo of pork, chicken and duck. After lunch, we roamed the indoor theme park. 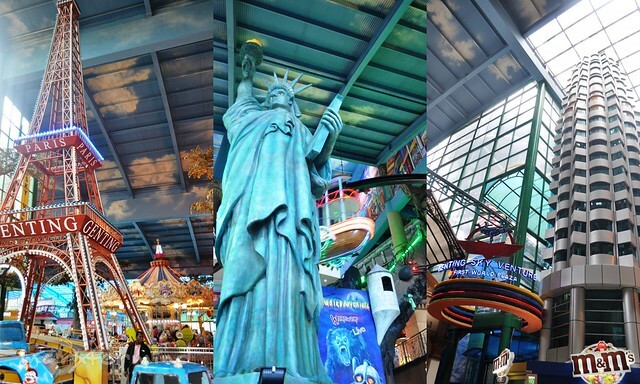 The indoor theme park has rides and attractions for family and children. Replicas of some famous landmarks are also located inside. We tried the moderate rides first like bump car and indoor roller coaster since we just had our lunch. Afterwards, we decided to check out the Outdoor Theme Park. 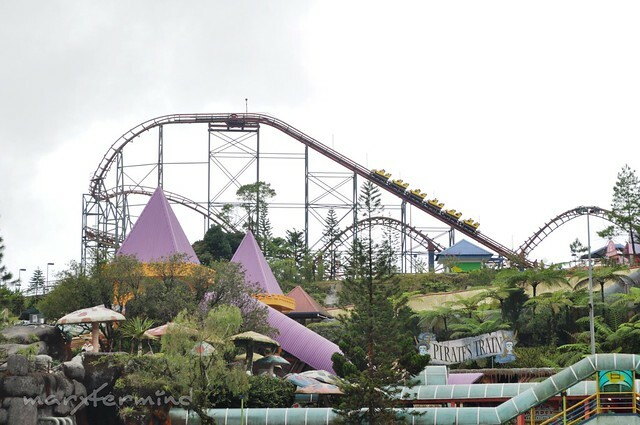 The rides and attraction here are combination of family fun rides, kid’s and thrill rides. I love rides…. Let’s get this started! I love thrilling and extreme rides. 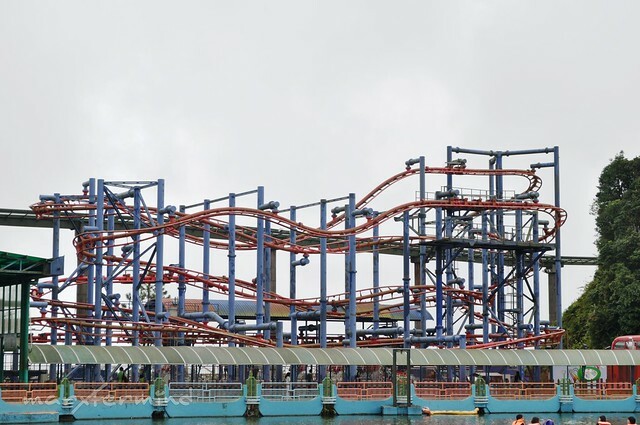 As soon as I saw the flying coaster, I was already excited to try it. My companions were not game on this kind of rides but being solo doesn’t stop me on trying such things. 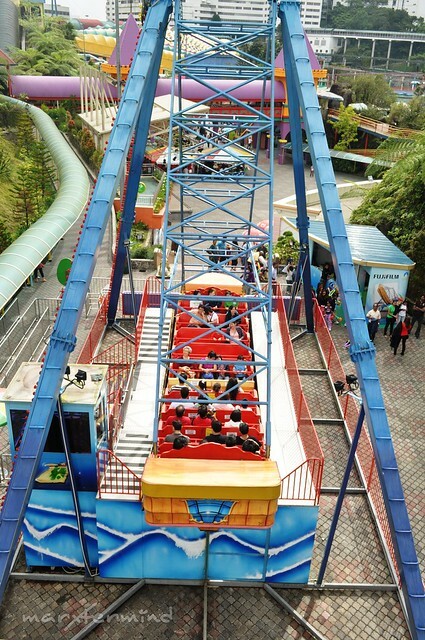 Flying coaster is one of the signature rides / attraction at the park, so I paid extra for RM 10.00. It was a total fun! 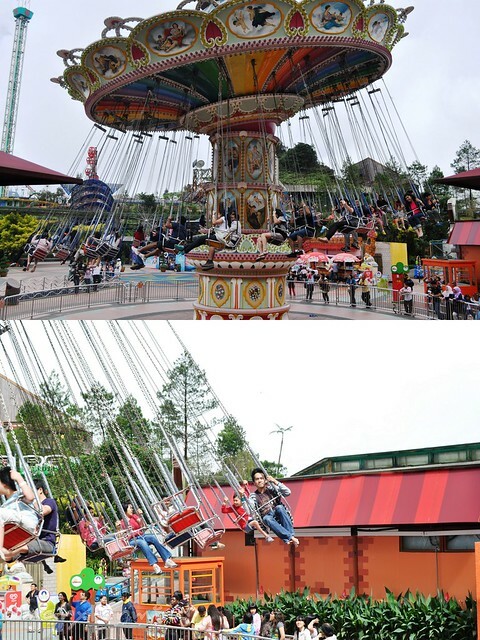 The twist and turns of the ride made it more thrilling. I was left hanging with the feeling. Then, I tried the corkscrew. I didn’t try the Pirate’s Ship since i thought it was just the same with EK’s Anchor’s Away. We wanted to try the race kart but one must be on shoes. Unfortunately, almost all of us were on slippers that day. I also tried Spinner and it only made my head spin, dizziness! 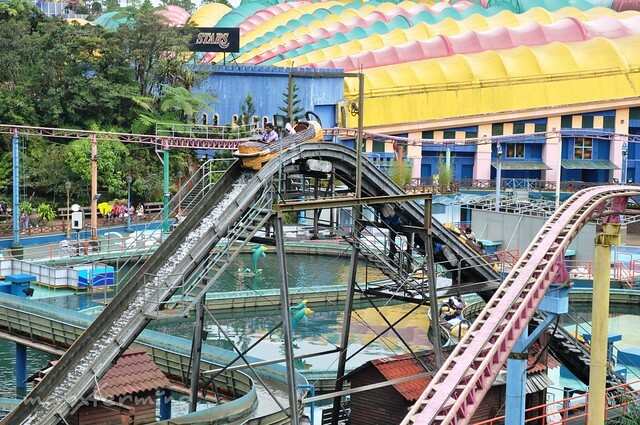 A lot of attractions and rides are available at the outdoor theme park. And what could be another option to roam the entire park? We tried the Theme Park Monorail. Yes it gets boring sometimes but the ride will give you the view of the entire park. And it’s fun seeing people on the rides screaming and having fun! It was a day of fun at the peak. 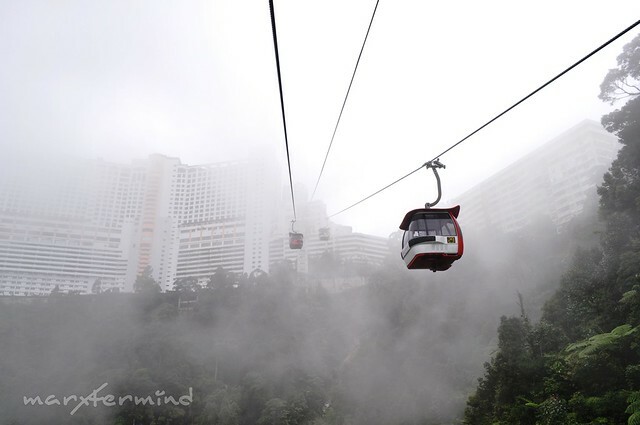 Genting Highland is an attraction that shouldn’t be missed when visiting Malaysia. 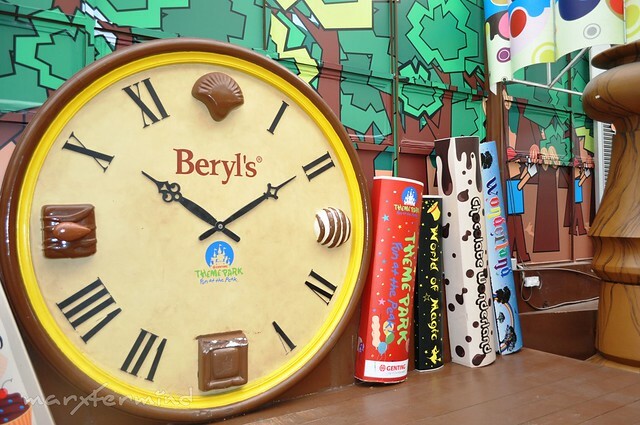 It was a place for friends, family and kids and kids at heart and be amused with the rides and its attractions.Before we left the theme park, we went to Beryl’s Chocolate Wonderland and bought boxes of chocolates (just the small ones). When one of my office mates visited Malaysia last month, she gave us Beryl’s Chocolate and it was so good. Good thing there’s a Beryl’s outlet located inside the park. At around, 5:30 PM we left the park. We rode on the cable car again down to the Sky Way Terminal. Our bus ticket to KL Sentral was still scheduled to depart at 8:00 PM so we asked someone at the ticket counter if we can have our trip earlier. Then, she advised us to ask the bus driver and so we did. I asked the bus driver and told us to wait if there will be still available seats for us. 5 minutes before departure, there were still numerous seats available then the driver let us board. At 6:30 PM, we left the terminal, we’re off to KL Sentral. naku marx, gamit na gamit ko na naman to sa october.. hehe 🙂 cool ng cable car! @Christian, na-amaze talaga ako sa Cable Car nila ang galing. Sana meron din ganyan satin going to Baguio! Hahaha! 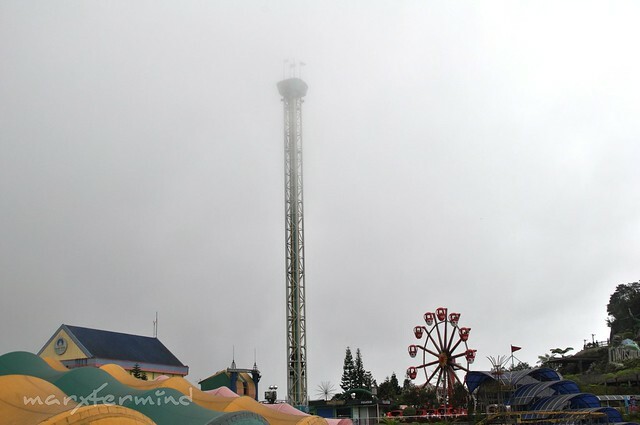 @Maricar, Mas ok sana kung may kasama akong sumisigaw habang nasa rides. Hahaha! astig yung sa cable car!!! @Mica, di mo ba nasakyan lahat? 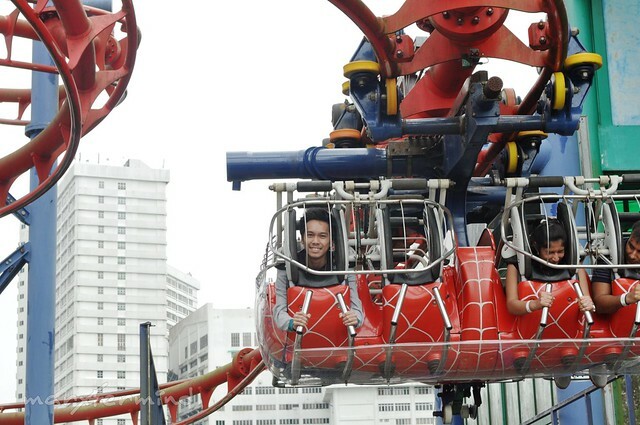 Pinakanag enjoy ako sa flying coaster. Sayang ung 4D eh, kaya lang 45 minutes kasi antagal sayang oras. @Chyng, di nga ako masyadong humahawak sa hawakan kasi parang ang sticky. hahaha! oo sumakit ung leeg ko sa galactica pero enjoy pa din. na-amaze ako kasi sabay ung human and cyclone. ang galing! hahaha! galing, may picture ka sa fying coaster! who took it? mejo smelly lang yung ride pero ok naman. risk factor: none. super secured. and for sure aagree ka na mas ok yan kesa sa galactica ng SG. sakit sa leeg!